If you do eBird, there’s a pretty good chance you were birding somewhere on May 13th. You may have birding from the window of your home, you may have been counting birds at a local wildlife refuge, you may have been counting birds on a feverish run from one end of a state to the next. No matter how you were digging the birds on that day, you probably also put the results into eBird, and in doing so, took part in the biggest day of birding ever. Since we collectively shared that day of birding with more than 20,000 people in more than 150 countries, there’s a pretty good chance that more people were out watching birds on May 13th than any other day in history. 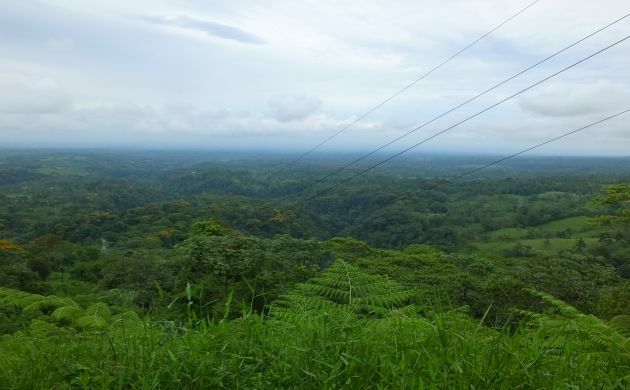 In Costa Rica, we did our part and were elated to finish with more than 640 species. Given that the country is the same size as West Virginia, and most of the migrants had already flew north, this was a damn fine total. Keel-billed Toucan, one of three toucan species seen during our day of birding. The Big Day officially started and I got ready to head over to Susan’s. Since we were doing the Global Big Day closer to home, we wimped out and figured we would start at one a.m. instead of midnight. While getting ready, it began to rain and my spirits teetered on the edge of taking a dive. If it kept raining, that would probably knock out our chances at night birds. Could we still see an owl in the rain? Could we still hear one? How could we make it happen? These and other thoughts occupied my mind as I drove over to Susan’s place. As I approached her neighborhood, the rain stopped, at least around there, so I played a few screech-owl sounds while we packed the car with important supplies, namely the food and drink cooler. Overhead, we got our first species in the form of a calling Black-bellied Whistling-Duck. One down, a few hundred to go and now we didn’t have to swing by a nearby pond to get it. The screech-owls failed to call and it was time to move on so we swung by the church at San Joaquin, picking up given Great-tailed Grackle as a few called from a roost. At the church, the hoped for Barn Owl failed to shriek on time so we moved on, driving through coffee fields with the outside hope of picking up Tropical Screech-Owl or something else. No luck there but at least the rain had stopped and the Striped Owl near my house called as soon as we stopped the car. Yes! Since it had been calling almost nightly for two months, I had hoped it would still come out and play on Global Big Day but knew that it could also stop calling at any time. Next on the agenda was the drive up and over the mountains with time to check for Bare-shanked Screech-Owl and Dusky Nightjar. The weather kept cooperating but it was another story for the birds. Despite watching, listening, whistling, and waiting in places where I have had several of each species in the past, those two were no shows on May 13th. Probably the wrong time of the night, but that’s way the ball bounces on a Big Day, you gotta keep on moving. No luck either with hoped for Black and White Owl in the parking area of the Waterfall Gardens but once we reached the lowlands, we got back into the night bird groove. As we approached our lowland nocturnal site, calling House Sparrows, Social Flycatcher, and a few other common species reminded us of the approaching dawn. As we drove through pineapple fields, the sickening scent of toxic chemicals reminded us to keep moving- no birds would be in those poisoned lands. Well past the fields of doused with toxins, we stopped to listen and play the sounds of owls and potoos. A few Common Pauraques called but nothing else so we moved on to a spot at the edge of an extensive block of lowland forest. 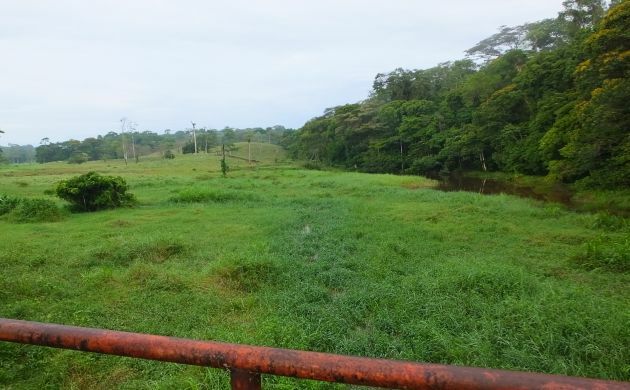 When we exited the car, we were pleased indeed to see that the lowland rainforest was adjacent to a large, marshy area. Black and white Owl called and made it onto the list, Central American Pygmy-Owl and Purple Gallinule followed, and imitations of both Great Potoo and Uniform Crake prompted those species to call and thus make it onto our list! No Crested Owl or other owl species but we were happy that it wasn’t raining and that we were getting some birds including our only calling Crested Guan and Great Curassow for the day. Marsh next to rainforest = lots of birds. The sky lightened and marked the crucial hours when we would get most of our birds. With a view of a marsh and forest canopy, we were ready to count whatever called or flew into view. 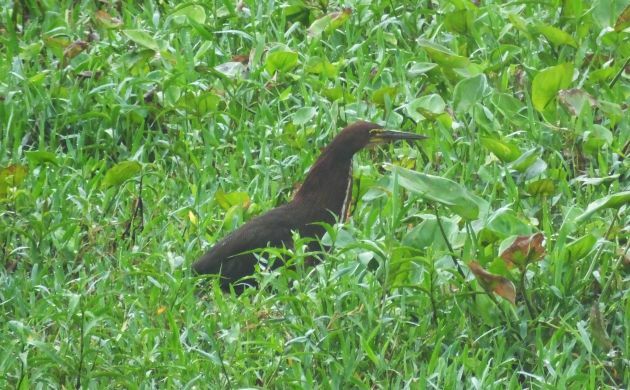 As expected, the birds came fast and furious- Ringed Kingfisher rattled as it flew over, and wetland species like Green Heron, Northern Jacana, and White-throated Crake vocalized from the wet grass. Green Ibis flew down to forage on muddy ground as various flycatchers, tityras, and a few woodcreepers vocalized from the trees. Olive-crowned Yellowthroat sang its heart out when one of our best birds of the day walked into view. Although it was partially hidden by the mist over the marsh, we could still see enough to count Rufescent Tiger-Heron. This rare bird for Costa Rica was a fine surprise and stood right out in the open but we had to ignore it to keep up with the Crimson-fronted and Olive-throated Parakeets that flew overhead, the toucans and trogons calling in the trees, and other expected species that made themselves known. By 6, I figured it was time to continue on and check the forest. Despite it being prime time for just about everything, the road through the forest was much quieter than expected. We did pick up Tawny-crested Tanager, Red-capped and White-collared Manakins, and Plain-brown Woodcreeper but the general absence of calling birds was a surprise. We kept moving, heading to the edge of the forest and added more birds, one by one including White-crowned, Red-lored, and Mealy Parrots, fantastic Great Green Macaws that flew right at us, Black-faced Grosbeak, Cinnamon and White-winged Becards, and a prize Blue-chested Hummingbird on an overall poor day for the Trochilidae. On the way back to the main road and our next destination, Collared Aracari, White-ringed Flycatcher, Gray-headed Chachalaca, and more lowland species made it onto our list. I had hoped to pick up various rainforest species on the trails at Tirimbina, ideally cleaning up on whatever hadn’t called earlier on. However, as luck would have it, since rather few forest species had vocalized earlier in the day, we would still need to connect with a big percentage of them at Tirimbina. That was alright, the trails in this choice forest are a good place to make that happen and a view of the river could also up the list. After a few agonizing minutes of filling out a paper with my name and other information (every second counts on a Big Day), we walked across the long bridge over the Sarapiqui River and entered the forest, making sure to not take the same trail as the 30 German tourists in front of us. We scanned the forest floor as we quickly walked along, picking up several lowland targets. 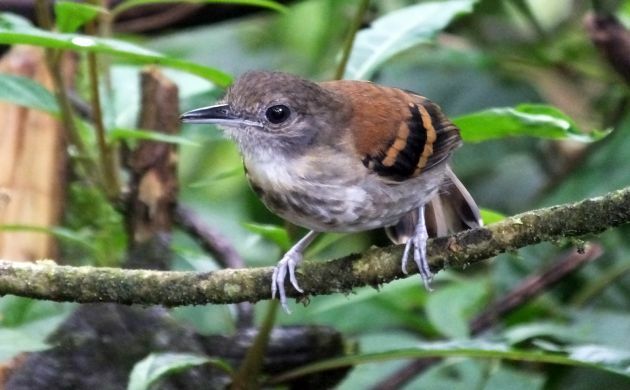 Checker-throated and White-flanked Antwrens revealed themselves with soft calls, the insect-like calls of the tiny Black-capped Pygmy-Tyrant reached our ears, and both expected motmots made appearances. We kept moving through the quiet, beautiful lowland forest, eventually hitting pay dirt with a major target White-fronted Nunbird, Black-striped Woodcreeper, and a few other species. No antswarms but we still got Spotted Antbird and a few other choice species. I had no idea what our total was at that point but it didn’t matter, we were going to keep on birding anyways. The Spotted Antbird is a shy, understory species. After a successful check of the river that gave us four more herons and a cormorant, we raced up the road to head into the foothills. Although Dull-mantled Antbird failed to vocalize, luckily, we got onto a mixed flock pretty quick and added Carmiol’s Tanager, Spotted Woodcreeper, Russet Antshrike, a few tanagers, and other birds. After that, things were kind of quiet but our target Least Grebe did come out to play and we added more species, slowly but surely, on the forested road near Albergue Socorro. White-ruffed Manakin called, Slate-throated Redstart sang and other species of the lower middle elevations revealed themselves bit by bit including one of our few migrants for the day, a Blackburnian Warbler. We kept moving up slope, birding the edge of Braulio Carrillo National Park but despite being situated in prime, high quality habitat, the avian scene was slow as molasses. Granted, we were there during the quiet, early afternoon but it never really picked up for the rest of the day. We still added cloud forest species like Dark Pewee, Mountain Thrush, and some others including hoped for Olive-sided Flycatcher but there were a lot more birds out there that neither called not moved. Nice view but no birds. Waiting for the bird activity to pick up in the middle elevations took away time allotted for the high elevations and back down in the dry Central Valley but we still managed some good last minute birds, the best being a Resplendent Quetzal that fluttered out of the forest and flew across the road. Other additions were Yellow-winged Vireo, Long-tailed Silky-Flycatcher, and some other high elevation species that called from the mist on a busy stretch of road. As we headed down slope, we picked up Flame-colored Tanager and Orange-billed Nightingale-Thrush just before the light faded. However, before calling it a day, we made one final stop at a dam to see if any Wood Storks were standing around in the dark, or if we could pick up another couple of owls, maybe a calling Southern Lapwing. I guess the birds had also called it a day though, because we turned up nothing before driving back home with close to 230 species under our Big Day belts. 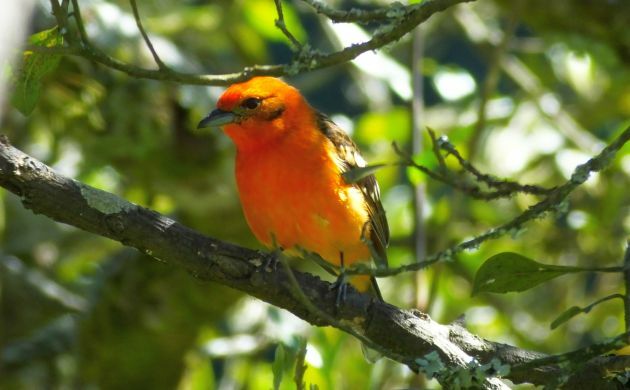 Flame-colored Tanager was one of our final species. It literally glowed in the late afternoon sun. Our total was lower than we hoped but then again, don’t we always hope to see and hear more birds? It was still the highest one team total for Costa Rica but pretty far from the highest list for the day. That title went to a team in Peru that identified 309 species, second place going to a team in Brazil with 307 species (check out the totals per country!). Other birders in Costa Rica added plenty of key species to the day list including rare wetland birds, most regional endemics, a surprise Pomarine Jaeger, and other species despite dealing with much more rain than us. 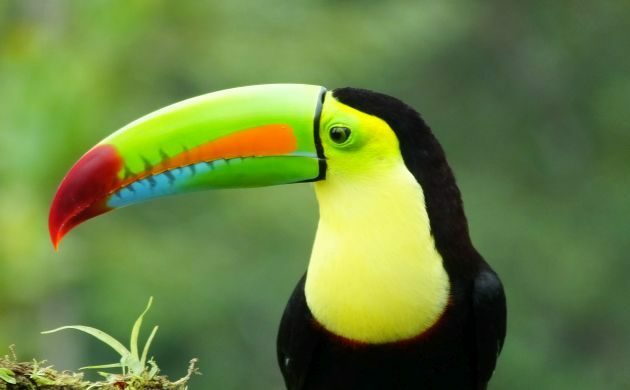 Birders in Costa Rica are already talking about next year, hoping that we can reach 700 species. I’m not sure if that’s possible in May but that won’t stop us from trying!